In a life that spanned a little over half a century, Trinidadian George Padmore, the militant revolutionary, political thinker and anti-colonial champion, contributed significantly to laying the foundation of a movement which would act as a catalyst for the independence of states across Africa and the Caribbean. Borne out of a 2003 conference marking the centenary of PadmoreÃ¢ÂÂs birth, the essays in this collection highlight and explore in unique ways the varying facets of Padmore. His development from student activist to political figure under the watchful eye of C.L.R. James, his role as journalist and organizer and the friendships formed on the path to Black liberation, all come under examination. 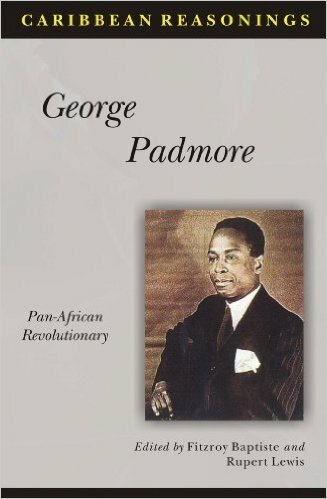 In studying Padmore, the contributions made in this volume go further than the individual by contextualizing the struggle of which he was a part and dedicated his life to. This Pan African legend is still a source of inspiration to students and scholars who continue to organise, debate and vocalize in advancing the Black agenda of self determination internationally.